Maken, who contested the polls from Sadar Bazar Assembly segment finished a distant third and lost his deposit. Congress, besides drawing a blank, also ended a distant third in terms of vote share in Delhi, securing 9.7 per cent of total votes polled. 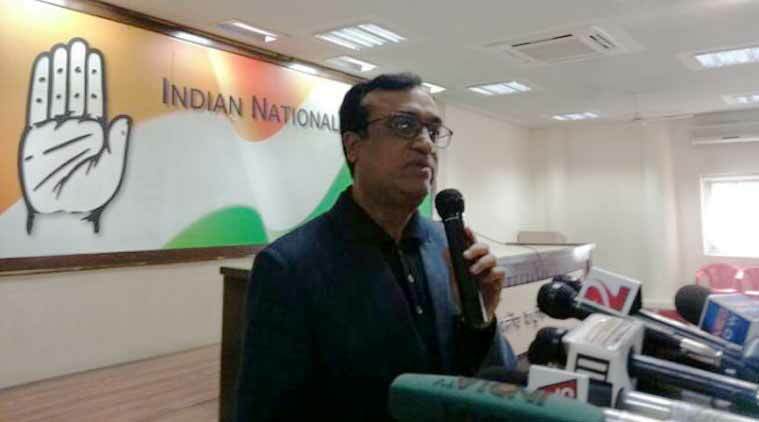 Ajay Maken, who led the Congress poll, admitted on Tuesday that when they went around canvassing for votes and telling Delhi people of promises made by the party in its manifesto, the voters would ask why Congress didn’t fulfil these promises in the fifteen years it ruled the Capital. Maken, who contested the polls from Sadar Bazar Assembly segment finished a distant third and lost his deposit. After his loss, the AICC general secretary said he’d be meeting party president Sonia Gandhi to hand in his resignation from the post. Congress, besides drawing a blank, also ended a distant third in terms of vote share in Delhi, securing 9.7 per cent of total votes polled. He, however, claimed that the result wasn’t necessary “against the Congress”. “There can’t be two sets of anti-incumbency. If anything, this shows the existing anger with the BJP government at the Centre. The people of Delhi believed that the 49 days that the AAP got in the government wasn’t enough. They wanted to give him (Arvind Kejriwal) another chance, five years to let him work for what he has promised. This doesn’t mean that they’re against the Congress,” he said. Maken added the party needed to focus on the positives while looking to rebuild. “In the rallies we held, there were huge crowds. Even in roadshows and corner meetings, we got extremely good response. But the best thing is that our support-base among grassroots workers is still intact… That is where we need to start rebuilding,” he said.